Jung Won is a reporter based in Seoul covering South Korea, most recently working for PharmAsia News. Her work covers corporate activities in the South Korean pharma/biotech sector as well as government policy and regulatory news. In her role, Jung Won focuses on R&D strategies, clinical development, licensing deals and other major corporate deals and activities in the country's pharma/biotech sector as well as major government measures or regulatory activities in the sector. 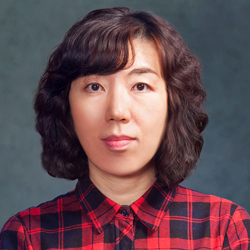 Prior to joining Informa, Jung Won worked for Dow Jones Newswires in Seoul, covering stories in various industries and government. Outside of work, she likes to travel and spend time with her family and friends. To trim the healthcare financial burden and boost the country’s national health insurance coverage as planned, South Korea will introduce a drug re-evaluation system to adjust prices of both novel and generic drugs, drawing a negative response from the pharma industry. While the eventual fate of Kolon Life’s gene therapy Invossa is still undecided after interim results from an ongoing probe into its composition, controversy over the product is growing as patients seek compensation from the company and government, and calls grow for a wider investigation. South Korea, which has recently delayed the political passage of a cutting-edge regenerative medicine and biologics act, should learn from the latest unprecedented incident involving Kolon Life Science’s cell and gene therapy Invossa, and pre-emptively make preparations and guidelines to better deal with such pioneering medicines, an industry expert tells Scrip. Following the worldwide generic valsartan quality woes, South Korea moves to improve the quality of generics and will eventually scrap joint bioequivalence tests, while implementing effective price cuts to later products to curb excessive competition and improve pharma firms’ responsibility for their drugs.